AMP has resigned its membership of the Financial Services Council (FSC) in the wake of rule changes instituted by the industry body last year. It is understood at least one other marquee member has handed in its notice to the FSC. Under new rules promulgated last October, the FSC upped the notice period from three months to a year. 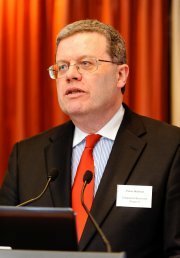 According to FSC chief, Peter Nielson, some members subsequently had fielded “pro forma” resignations with the option to exit the organisation after the 12-month notice period or reinstate their memberships. Nielson said the 12-month notice rule was put in place to ensure restructuring costs were fairly distributed across existing members. He said the decisions to close the FSC Wellington office last year – with the loss of two long-serving staff – triggered redundancy payouts and lease break fees that imposed significant costs on the industry body. “We made the decision [to extend the resignation period] for pragmatic reasons,” Nielson said. The FSC recorded a loss of more than $435,000 over the 12 months to June 30 last year, according to its latest published accounts, on income of just over $1 million. As well as a redundancy provision of about $173,000 and lease break allowance of almost $61,000, the FSC accounts show salaries cost the group roughly $447,000 over the year to June 2014. During the period the FSC also forked out more than $285,000 to fund its April 2014 KiwiSaver report, prepared on its behalf by Infometrics. Following the extraordinary expenditure, the FSC sunk into a deficit of $211,419 as at June 30 last year, compared to an almost $225,000 surplus 12 months previously. An AMP spokesperson said while the insurance and investment giant had resigned the FSC, it continued to support the aims of the organisation. “We believe there is value in having an industry body that defines clear public policy on issues of relevance to the market and has a demonstrable policy on public savings and insurance,” the AMP spokesperson said. “We have been working with the FSC to try and achieve outcomes of public policy that are the best for all New Zealanders for a number of years now. The FSC has more than 20 full members – including all the major insurance companies and three of the big four banks – and 16 associate members encompassing a range of industry service suppliers.